To help backyard birds through the winter, do less. Leave the leaves or rake them under plantings. The tasty insects and spiders underneath will be food for the towhee and this Song Sparrow. Don’t deadhead. Pine Siskins and goldfinches love to snack on dead flowerheads. Make an insect hotel out of natural objects, flower pots, or other “found” items to create hidey holes for insects. They will become food for wrens and other birds. 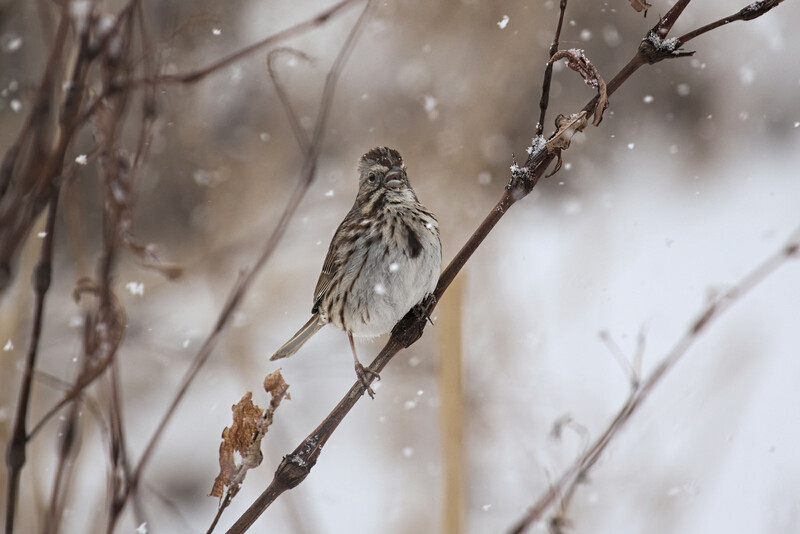 Some of the best ways to help backyard birds through the winter mean doing less, not more. First, leave the leaves. Tasty insects and spiders live underneath. 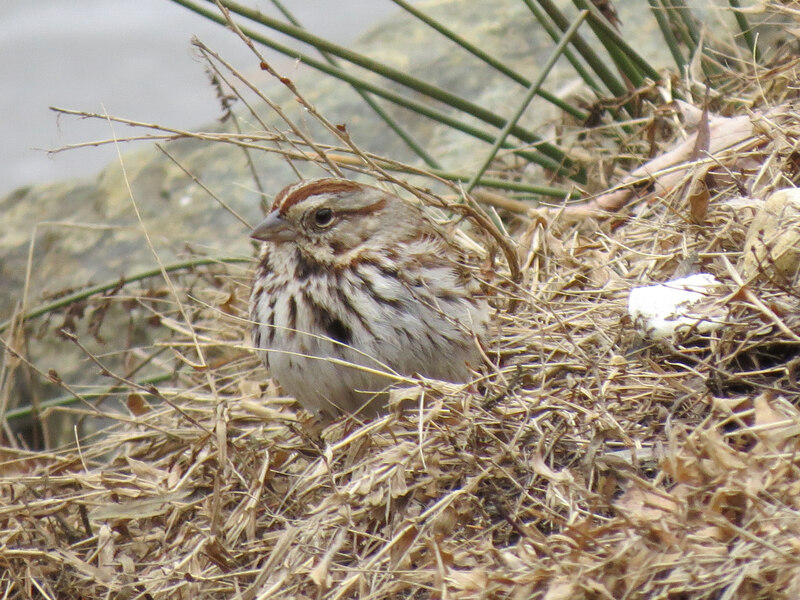 Backyard birds like the towhee and the Song Sparrow will pick and kick through leaves again and again [Song Sparrow https://macaulaylibrary.org/asset/70414851]. Leave them where they’ve drifted, or rake them up under your plantings. Number Three: build an insect hotel. Okay, there’s some work involved in this one. But it’s a cool project for kids and adults to do together. Make a structure out of natural objects and “found” items to create little hidey holes for insects. Some of these cozy hotel guests will become food for wrens and other birds. It’s also a great way to repurpose old bricks and flower pots and bits of wood while creating your own sculpture. So park the rake in the shed, and the clippers, too. The birds will thank you. Support for BirdNote comes from Songbird Coffee. Offering bird-friendly, organic shade-grown coffee for holiday giving. More at BirdNote.org/Songbird. Bird sounds provided by The Macaulay Library of Natural Sounds at the Cornell Lab of Ornithology, Ithaca, New York. Recorded by Bob McGuire, Paul Marvin and Wilbur L Hershberger.